How to Ward Off the Top 6 Men’s Health Issues. From heart disease to suicide, the top causes of death claim more men than women every year-and women now live an average of five to ten years longer. Why the disproportion, guys? One reason could be because men are 33 percent less likely than women to visit the doctor, according to a recent U.S. Centers for Disease Control and Prevention (CDC) report, which indicates a lack of personal health monitoring. Other reasons could be their riskier lifestyle habits (more smoking, drinking and dangerous hobbies) or weaker social connections. A tendency toward unhealthier eating-and not being as involved in household food and meal decisions as women typically are-are reasons, too. But this story doesn’t have to have a sad ending. Listen up, dudes: Here are some small tweaks you can make today to ward off the top issues affecting your health. 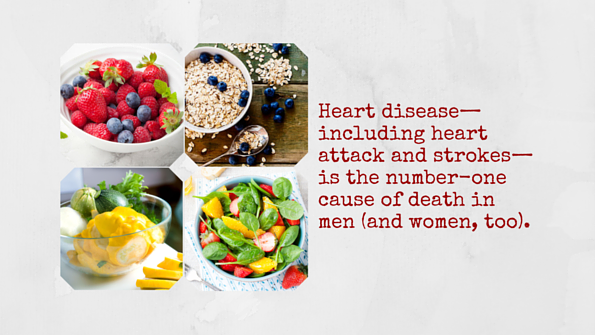 .Heart disease-including heart attacks and strokes-is the number-one cause of death in men (and women, too). According to the CDC, the average man’s heart is eight years older than his biological age. Being sedentary too often is a leading factor for heart disease, and according to the 2014 National Health Interview Survey, only 50 percent of men meet the physical activity guidelines for Americans, which encourage at least 2½ hours of moderate intensity physical activity each week. Stress also contributes to heart disease, and men and women tend to deal with stress differently. 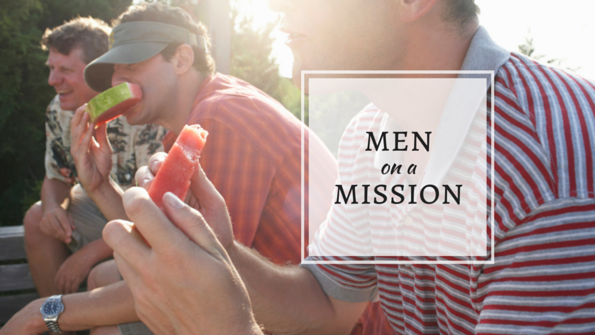 Guys: Being physically active can help here, too. Men who get regular vigorous exercise are 25 percent less likely to develop an anxiety disorder, and scientists say physical activity may improve mental health by helping the brain cope better with stress. In addition to increasing your movement, consider adding a heart-healthy supplement to your regimen. Some proven options are coenzyme Q10, magnesium, omega-3s, phytosterols and vitamin K2. Concentrate on increasing your intake of omega-3 fatty acids by eating more fish and seafood, such as salmon, sardines and tuna, as well as nuts and seeds. Also, up your consumption of fiber and phytonutrients by choosing more plant-based foods, such as oatmeal, berries, squash, spinach salads and beans. Lung cancer is currently the leading cause of cancer deaths in men-and it’s also one of the most preventable. Despite anti-smoking campaigns, almost one out of every five young men continues to take up smoking because of the addictive quality of nicotine and the growing popularity of e-cigarettes. More than 90 percent of lung cancers in men are the result of smoking. If you’re a smoker, find support by calling 1-800-QUIT-NOW and consider behavioral therapy and/or nicotine replacement therapy. Other risk factors for lung cancer include exposure to toxins, such as radon gas and asbestos, a family history of cancer and secondhand smoke. Environmental lung disease affects men most often from exposure in their places of work-and it’s caused by inhaling harmful particles, mists, vapors and gases. If your job places you at risk for inhaling these substances, wear a face mask to reduce the number of tiny particles that can attach to the mucus in your nose and mouth and eventually make their way to your lungs. Choose foods high in vitamin C, carotenoids and magnesium, nutrients that support lung health. Foods that are a good source of all three of those nutrients are cantaloupe, apples, broccoli, citrus, avocados and carrots. 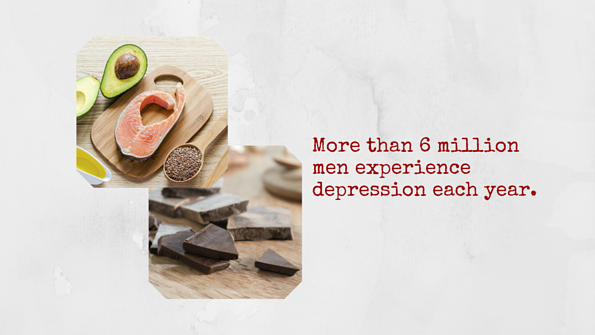 More than 6 million men experience depression each year. What’s worse is that it’s commonly underdiagnosed, often because men are less likely to openly show symptoms and recognize them early enough to get treatment. As a result, men are four times more likely to commit suicide than women, according to the Men’s Health Network. Depression in men can manifest in a number of ways, including anger and aggression, risk-taking behaviors, midlife crisis, and alcohol and substance abuse. Men themselves, as well as their friends and loved ones, need to understand that the masculine approach of ignoring pain and sad feelings can make depression worse-and even trigger it-in some cases. Get regular exercise and sleep, and avoid alcohol and recreational drug use, which can worsen depression. Also, share your feelings with a trusted friend and a health professional who can help you explore options consistent with the severity of the case. Common approaches include taking antidepressants, cognitive behavioral therapy, light therapy, massage, acupuncture, meditation and supplements, such as B vitamins, St. John’s wort, 5-HTP and tryptophan. Opt for a wide range of natural foods and food groups to ward off deficiencies. Also, up your intake of nutritious fatty foods that support brain health, such as avocado, nuts and seeds, eggs, fatty fish, olive oil and even a daily square of dark chocolate. 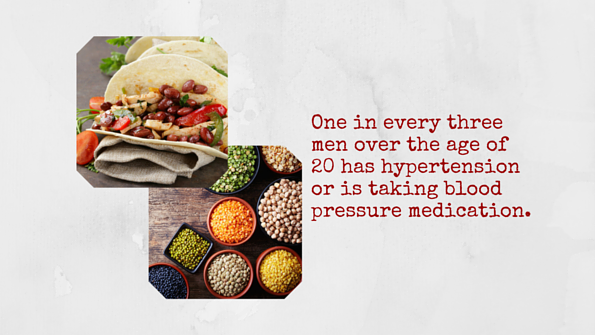 One in every three men over the age of 20 has hypertension or is taking blood pressure medication, according to 2014 research from the CDC’s National Center for Health Statistics. True, you can cut back on using your saltshaker at home, but you’ll get the biggest impact elsewhere. Restaurant meals account for nearly 25 percent of the sodium in the average American diet-and Americans dine out at fast food and sit-down restaurants almost five times each week. The remaining 75 percent of the sodium in the average American diet comes from salt added to processed foods, such as canned soups, condiments, meal helpers, breads and cereals, cold cuts and cured meats, pizza, poultry and sandwiches. Reduce your sodium intake by eating more from-scratch meals at home and filling at least half your plate each meal with a variety of fruits and vegetables-their high mineral content can blunt sodium’s impact. Also, consider taking an L-arginine amino acid supplement, which some research indicates can lower blood pressure. Another benefit for men: L-arginine may help with erectile dysfunction. Incorporate more beans into meals by adding them to salads and soups, eating cooked beans as a side dish and snacking on hummus or other bean dips. Use beans to make healthier versions of the foods you’re already eating (try mashing beans onto pizza crust, mixing them into burgers and adding them to tacos). Beans are an excellent source of blood pressure-reducing minerals, such as magnesium, calcium and potassium. Plus, they’re loaded with fiber, which research shows can significantly reduce blood pressure in men with hypertension..
By some estimates, 25 percent of men suffer from some type of digestive issue. The most common gut problems affecting adult men are heartburn, stomach pain, diarrhea and constipation. Fermented foods, such as sauerkraut, kimchi, pickles and yogurt, are an excellent source of healthful probiotic bacteria that can replenish and heal your microbiome, which is the name for the trillions of beneficial microbes in your digestive tract-plus, fermented foods are already broken down, making them easier to digest. If gut pain and digestive issues are a chronic problem, consider following a low-FODMAP diet that eliminates certain carbohydrate-rich foods that overstimulate gut bacteria. Get our low-FODMAP meal plan and read more about this approach here. 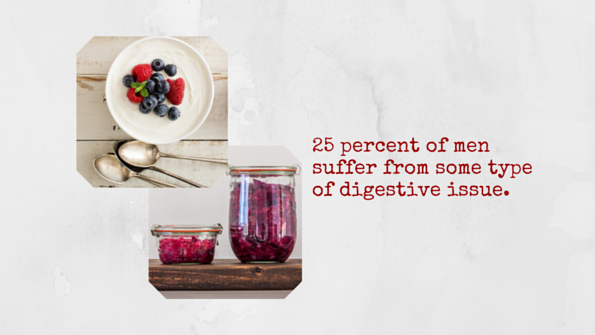 Additionally, cutting back on alcohol, high-fat foods, spicy dishes and caffeine can provide some digestive relief. Supplements that may help include probiotics, L-glutamine and high-quality fish oil, which can reduce inflammation. After lung cancer, prostate is the second leading type of cancer deaths for men-and there are more than 190,000 new diagnoses of prostate cancer in the United States each year. The rate of infertility in men is on the rise, as well. 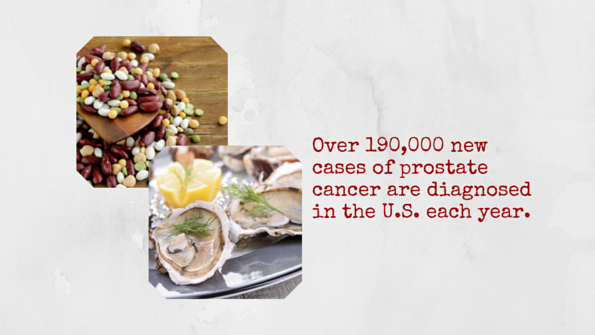 Foods high in zinc (oysters, crab, beans, pumpkin seeds, duck and lamb) can suppress tumor growth, especially in the prostate gland, where cells accumulate more zinc than in other human tissue. Also, choose selenium-rich foods (tuna, seafood, wheat germ, eggs, cashews, garlic and onions). Finally, a heart-healthy diet can benefit prostate health and fertility, as well. Add plant-based cruciferous vegetables to your plate whenever possible by choosing broccoli, brussel sprouts and kale for salads and side dishes. Add tomatoes, peppers and peas to boost heart and prostate benefits even more. 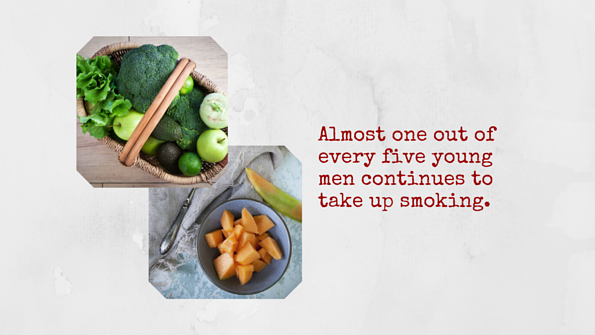 To protect your prostate, don’t smoke, maintain a healthy weight and get regular physical exercise. Your best bet to boost fertility is to protect your sperm. Some preliminary studies speculate that long-term exposure to high temperatures (such as sitting daily in a hot tub or setting your laptop on your scrotal area for an extended time) can adversely affect sperm. Experts say smoking nicotine reduces sperm production, as well. And there is some evidence that exposure to agricultural pesticides can harm fertility in both men and women. You can reduce exposure by eliminating any synthetic chemicals used in your own garden or lawn, as well as nearby lawns and farmland, and by choosing organic products whenever possible.